RBI Governor Urjit Patel put an end to all speculation that he wouldn't be meeting West Bengal Chief Minister Mamata Banerjee while in Kolkata. Banerjee has been very vocal against the Centre's demonetisation move, while the RBI Governor has been accused of being too silent. 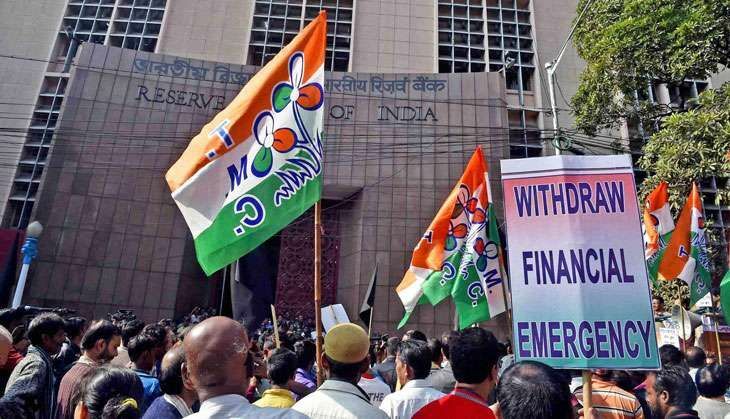 Patel, in the hour-long meeting with Banerjee, the state chief secretary, finance minister and finance secretary, was reportedly silent for much of it while they presented him the difficulties the common man has been facing since 8 November. Sources in the CMO office say that they have submitted a letter to the RBI Governor narrating the whole list of problems. The sources say Patel did not want to discuss the matter and hurriedly changed the topic. Patel also allegedly refused to be escorted by the car that had been provided by the state government, which only serve to further underline the tussle between the Centre and the state over demonetisation. The letter submitted by the CMO office reads, "We (West Bengal government) would like to know from the Governor the nature of allocation of new currency to each of the states in a spirit of transparency and accountability since there are serious concerns of political discrimination amongst states ." According to Banerjee, 25% of the income has gone down after the note ban. She has also previously accused the Centre of only sending Rs 500 notes to BJP-rules states, which she called discriminatory. Banerjee also said, "GST has also been put on hold as a result of demonetistaion and steps should be taken to ensure that there are adequate supply of notes especially Rs 500." The letter also mentions the problems the farmers, unorganised sectors, tea garden workers and MNREGA workers and speaks of how the rural economy has totally collapsed. Political analysts feel that the fact that Patel even met with Banerjee indicates that Modi wants a cordial relation with the state government as far as passing Bills in the Parliament is concerned. Biswanath Chowdhury political analyst said, "It needs to be seen whether the discussion will lead to any concrete results for the benefit of the masses, especially tea workers and the unorganised sector." Interestingly, Patel did not met with any CPI(M) leaders even though they were protesting outside the RBI office in Kolkata and the deputy Governor took the deputation of the CPI(M) leaders. Biman Bose, Left Front Chairman said, "We cannot expect this sort of discrimination from RBI. RBI is functioning totally on the whims and fancies of the Prime Minister Narendra Modi."